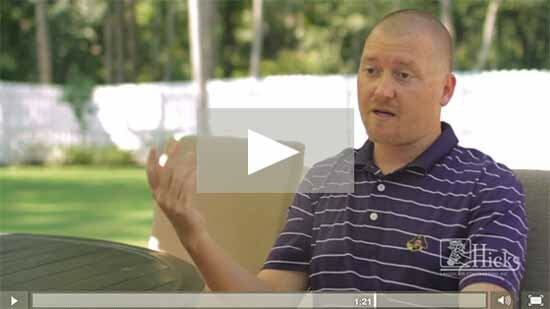 The experienced, friendly staff at Hicks Landscaping has been transforming lawns in Wake County and surrounding areas for more than two decades. 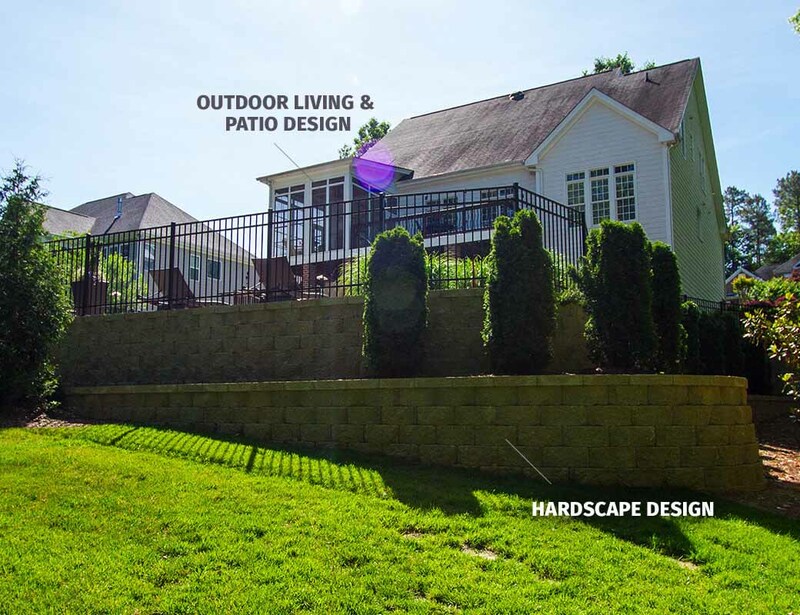 Make an appointment with one of our specialists at Hicks Landscape to discuss a landscape design that will add curb appeal, or an outdoor living space with a fire pit, walkway, outdoor lighting, and a beautiful patio area that will add functionality to your property. We also offer year-round maintenance for your lawn to provide that well-manicured look. Leave the mowing, turf care and pruning to us and enjoy coming home to a beautiful lawn. Ask about additional options that we offer for your lawn. We are local to Raleigh and eastern and central North Carolina. We understand the challenges involved in maintaining a healthy, lush lawn and we are qualified to provide effective solutions. Schedule an on-site evaluation today. Let's make your lawn the envy of your neighbors! 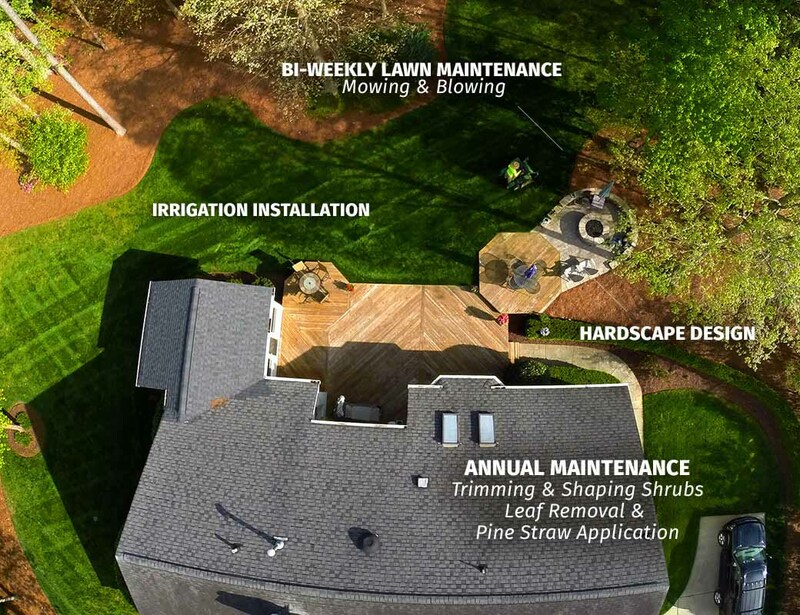 Refresh your home’s exterior with Hicks Landscape services! Add warmth and character to your home’s exterior with Hicks Patio & Outdoor Lighting! Sculpt your hardscape and sharpen your property with Hardscapes services from Hicks! Enjoy a luscious, authentic lawn without the upkeep of regular grass. 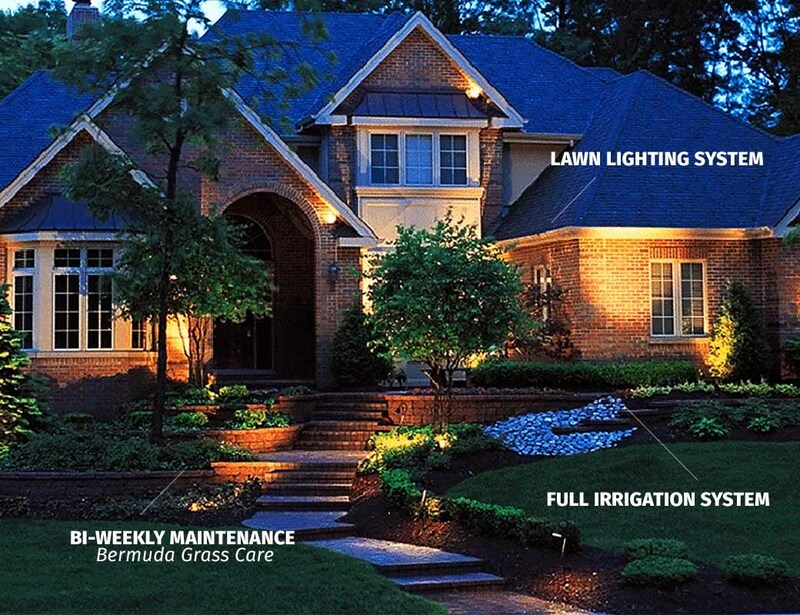 Conserve water and hydrate your lawn with Irrigation Systems from Hicks! Create beautiful, lush, green fields and pastures of smooth, even grass with our seeding. Enter your information to receive pricing from one of our professional team members. A beautiful property is more than a green lawn and vibrant flowers. A stellar landscape is unique and functional, and that’s what you get with Hicks. We won’t just maintain your lawn. We’ll install beautiful hardscapes that add character and style to your home’s exterior, and call you outside into the fresh air more and more. A home should thrive at all times. It should glisten in the sun and stand out under the stars. With outdoor lighting from Hicks, your home can do just that. Our wide variety of exterior lighting options illuminate your property in the most unique and beautiful fashion, blanketing your landscape with energy and warmth throughout the evening. A truly complete property is welcoming inside and out. Hicks offers elite outdoor living services that welcome visitors with open arms. 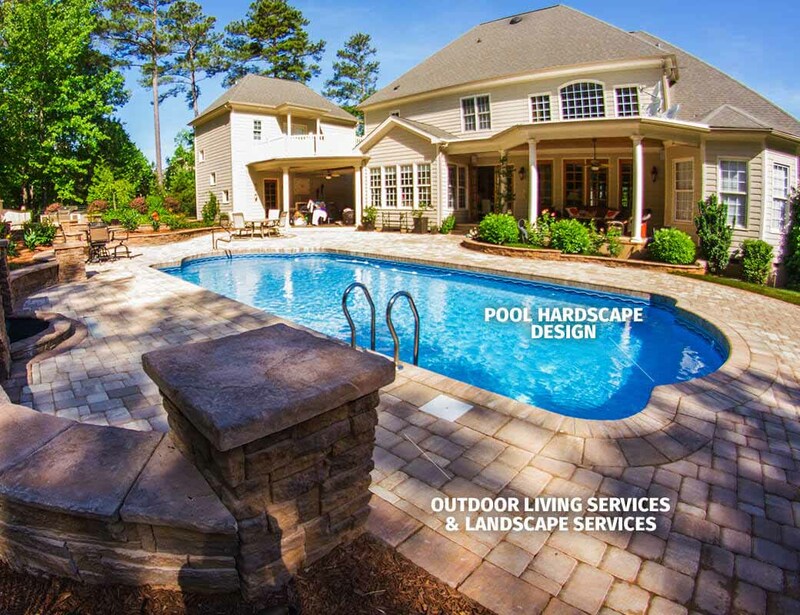 We’ll craft you an authentic backyard hardscape equipped with anything and everything you desire - be it a pool, fireplace, etc., Hicks is committed to applying our skill to give you the outdoor space of your dreams. No matter the terrain or vision, Hicks will help you fashion a lively backyard that reflects your individual style. All properties have aesthetic potential, and our experts possess the creativity, precision and vision to infuse even the most lifeless yards with unmatched exuberance and appeal.